Looking to spur wiki adoption? Want to grow from 10 users to 100, or 1000? 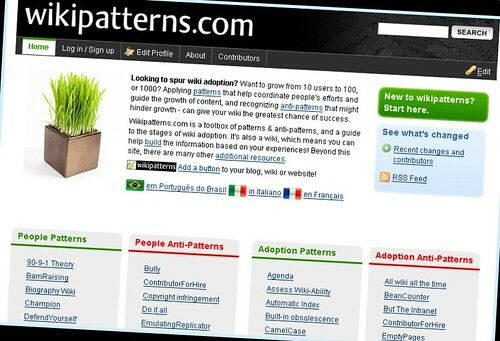 Applying patterns that help coordinate people’s efforts and guide the growth of content, and recognizing anti-patterns that might hinder growth – can give your wiki the greatest chance of success. Previous Post:Creative Commons voor onderwijsmateriaal?